With party conferences in the U.K. and the U.S, presidential elections heating up – Our focus shifts to Marriage and Leadership. Have you noticed how leaders always try to show affection to their spouses at party conferences and debates – hugging each other and presenting a united front? We saw the American candidates kissing and hugging their wives after the 1st debate in Denver. The world is keen to make us believe that marriage doesn’t matter much these days. Yet these leaders realise the importance of marriage and the impact that their marriage has on their chances of being elected. Their actions show clearly that marriage is important – especially for those who would be leaders. While you may not have the desire to become the next Prime Minister or President. you are still a leader or role model in one area or the other – either as adults, parents, managers at work, workers in church etc, and it is important that your marriage reflects your ability to lead. In some of our posts over the next few weeks, we will be asking ourselves why marriage is important to leadership, why we need to work on our marriages in order to be good leaders or good role models and the effect of marriage on leaders and leadership. 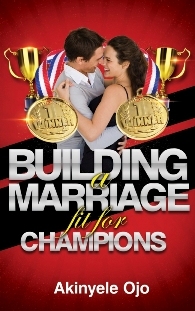 This links on from our previous focus on looking at the attributes of Olympic champions and learning how we can use the attributes to inspire our marriages. We pray that God will make each one of us a champion in our own marriage – and that he will use us as leaders to positively impact the marriages of others.